This summer this kids entertained a project that resulted in an award winning image. 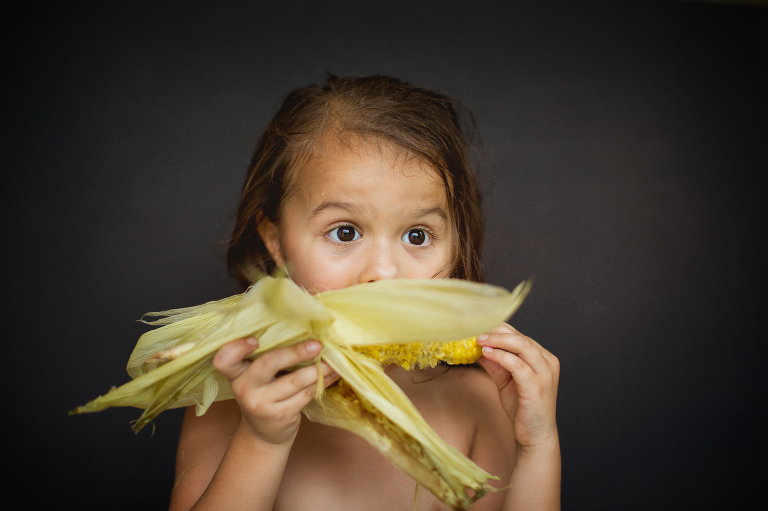 I’ve had in mind for some time – capturing them eating their favorite summer foods. We had so much fun! Each time we grilled, made homemade popsicles, or sliced watermelon, we did a little mini session with a sampling of the food. I simply set up a mini studio session set in our garage to take advantage of the awesome natural light that garages create: I used a ladder to hold up a large piece of black foam core and had them sit down on a crate. I shot this using my 50mm/1.2 wide open and finished in post processing. Super easy, and super fun for them because I involved them in the set up. For those that know me, I often involve the kids in the portrait process – they love it! If I’m photographing my own kids, I have one stand behind me, or hold a prop. (In another post I’ll share how my son sprinkled flower petals on my daughter one evening, oh my!) When I’ve done fine art school studio session portraits, the kids will end up dancing behind me while I’m photographing one child – sometimes younger siblings even sit in my lap while I shoot! The point is I like to have fun, I want my subjects to have fun and I want to capture that moment. These are kids at the realest (is that a word? 😉 Authentic childhood portraits. Fun. 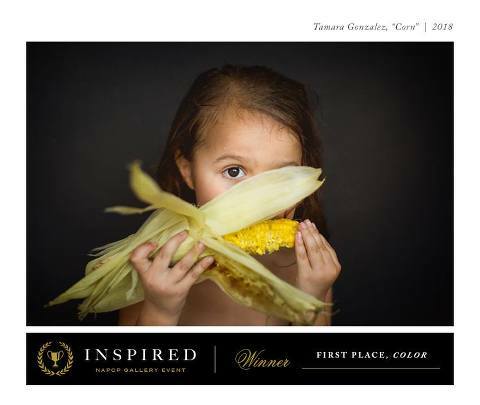 The biggest wow result of this session was that one of the images was selected as the First Place Winner for Color at the National Association of Professional Child Photographers (NAPCP) Inspired Gallery Event. This is such an honor to be among so many talented artists. And so with the kids now off to school and I attempt to get organized for the slew of family portrait sessions coming up this fall, I want to pay tribute to the fun summer we had this year. I'm Tamara. Thank you for visiting! 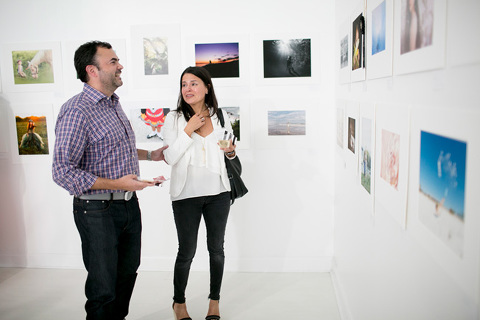 I am a lifestyle photographer of families, children, babies, maternity and couples. I'd love to talk to you about capturing your portraits. © 2019 Tamara Gonzalez Photography|ProPhoto6 Blog|Design by Northfolk & Co.